Thanks to all of you who are following this series! If you need to get caught up you can view the previous post here. 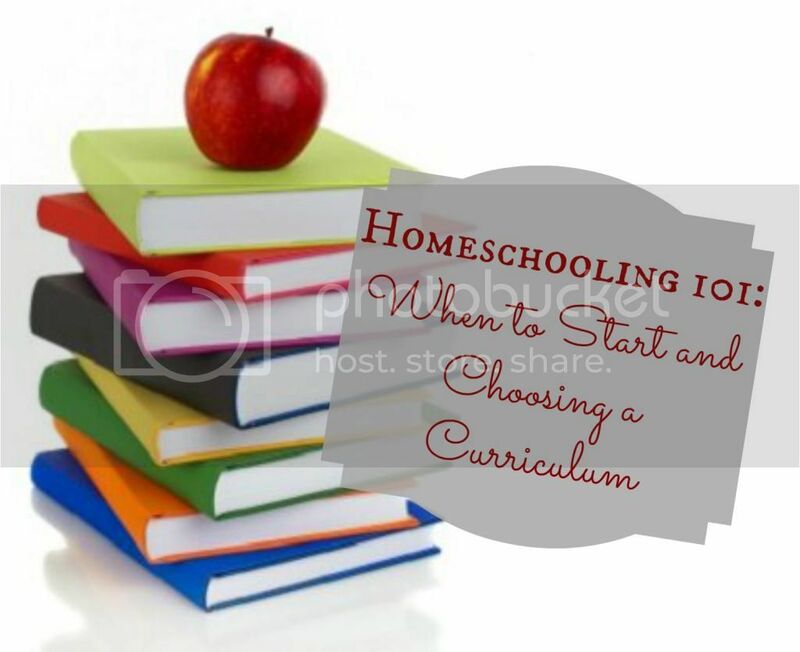 Today we are going to talk about knowing when to start and how to choose a curriculum. One of the number one questions people ask is how early is too early to start homeschooling? Or what age should I begin school? Well, there are a couple of answers to that. First of all, what does your state mandate? Each state has different regulations regarding how long you can wait to start. Next, let your child take the lead. Jayden started at 6 as a 1st grader. We had done some smaller work here and there but nothing "formal". Evan on the other hand, started as a Kindergartner at 5. Each child is going to learn at a different pace. Jayden struggled with reading at 5 but excelled at 6 and was not any more behind than had I continued to push him at 5. Some things just come easier at a different age. Evan struggled with writing his numbers and letters backwards, so we stayed in a 1st grade writing book until knew he had mastered the concept. At this young age, there is really not a cookie cutter learning ability. Some kids will be ready at 4 while others will be ready at 6. I have found that my younger children have started much younger just because they have picked up on what their older siblings are learning. This is a great way to not only teach the younger siblings but also make sure your older ones have mastered concepts. If they can teach the concept to a younger sibling then they truly understand it. For the younger ages (up to 4th grade), my best advise is keep it simple. Focus on the basics. Reading, writing and arithmetic. Pull in history and science through your reading books but also know that these subjects are repeated every 4 years so they are not subjects that need to be discussed in great depth at this point. Interview other homeschooled children. When I started homeschooling, we moved next door to a family who was also homeschooling. From the first time I spoke with their kids, who were 10 and 8 at the time, I was so impressed. They were well spoken, knowledgeable and carried on a conversation with adults naturally. I started immediately asking them and their mom about their curriculum. I saw in those kids a vocabulary, knowledge and confidence that I wanted in mine as well. Make it easy on you. The options are endless as far as online schooling, DVD schooling, co-op schooling, and traditional homeschooling. As a working mom, I like to have it all laid out for me. Lesson plans, science projects and hands on activities are just not things that I have the time to research and plan out. I like a curriculum that pretty much tells me what to teach and when to teach it. This also eliminates anxiety of whether my kids are learning what they need to learn, when they need to learn, it as most packages, such as Abeka, are taught at actual private schools. Stick to a vision. Even though I don't know that I will homeschool all the way through high school, I want to have a vision now of what my curriculum will look like just in case. Switching curriculum every year can be difficult for the child since different learning styles are used throughout different curriculums. Obviously, if something is not working, you will want to change it. I always try and stay away from an unusual concept for a concept that focuses on one area. One thing I love about homeschooling is the ability to first-hand see what your kids excel at and helping to steer them in that direction of doing something they love. However, they will still need to graduate from highschool, they will most likely need to score high enough to get into college and they will need to have the common sense to get a job in the future. I try and look at curriculum I see myself using long-term or that will translate well as far as the style I hope to teach long term. Up until 4th grade I have loved the Abeka curriculum. It is very basic. It is repetitive and covers its subjects thoroughly and adequately while using colorful pages and fun stories. It is also very parent friendly. You can buy answer keys, planning books, and coordinating learning activities. They also have Material Displays so you can actually go and look at the books in person, ask questions to their representatives and get advise. They are an actual Christian school based in Pensacola, FL and they also offer accredited learning programs which I think would be highly useful through high school. There are many other programs similar to this as well. Bob Jones, Calvert, AlphaOmega and Sonlight are just a few that come to mind. When Jayden got to 4th grade last year, I decided to switch to Sonlight. I wanted something a little deeper and more thorough. Sonlight is a literature based curriculum. I was a little unhappy with the basic history and science covered in Abeka for this age. I did continue with Abeka Language and Saxon Math. I have really loved Sonlight. And because it is reading based, I am using the same history and science with Jayden and Evan. While Jayden will answer his questions in a text book, Evan and I will just talk about them. I love the fact that not only do my boys know that Columbus sailed the ocean blue in 1492, but they know why, what was going on at the time, the culture he was living in and why people were looking to break away from England. To me, this is learning. Although facts are important, I also want my children to understand the concepts behind them. The downside of Sonlight is that while there is a lot planned out for you, there is still a lot of parent interaction needed. Last year we read 72 books. I'm not talking about Dr. Seuss kind of books. I'm talking about novels and biographies. And while I loved the results of reading comprehension and discussions, there were many days that the boys were just tired of reading. I have been doing some research into Classical Conversations. I have heard of several families in our homeschool group speak very highly of it. It is also a literature based curriculum and utilizes memorization in the younger years as "building blocks" for the older grades. They actually meet for "school" once a week and then you build on what they learned at classes for the rest of the week. I am very interested in this theory, and love that the younger kids learn right long with the older ones in the memorization programs. I also love that Latin is intermixed because this is something I have never been disciplined enough to complete. The down side to this is that it is considerably more expensive than some of the other curriculums. I hope this helps answer some questions about choosing a curriculum. Most larger cities have curriculum fairs where you can go and view different ones. I would highly recommend this. It's amazing to see all that's out there! 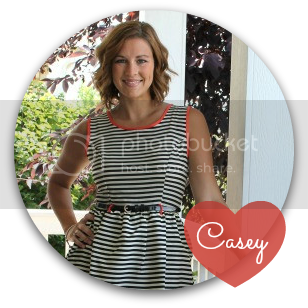 If you currently homeschool and are using a curriculum you love, please feel free to comment! Next week we are talking about Homeschooling and Working from Home. I hope you will join us again! What would you recommend for a Kindergarten curriculum and also a preschool curriculum? I'm looking for something easy, fun, and all planned out. Also something that isn't too expensive. I have looked into Confessions of a Homeschoolers curriculum but I would love to hear everyone else's suggestions. Even if I never homeschool, I am enjoying this series! McKayla goes to a small private Christian school and they use the Abeka program, which I have liked. Thank you for sharing!